Hello Tampa Bay, have you had the chance to head on over to Season’s 52 and try their new delicious Strawberry Coconut Martini? If not, you are in luck today! Alex here to let you know how to m ake the Season’s 52 Strawberry Coconut Martini at home. • Combine strawberries and vodka in glass jar. Allow to steep at room temperature in cool, dark place for seven days. Drain vodka infusion. • Place coconut flakes on baking pan and roast 6 minutes total. Stir frequently. Remove and cool. • Place coconut flakes in chilled martini glass. Combine all other ingredients with ice in metal shaker. Shake for 10 seconds. Strain into chilled martini glass. 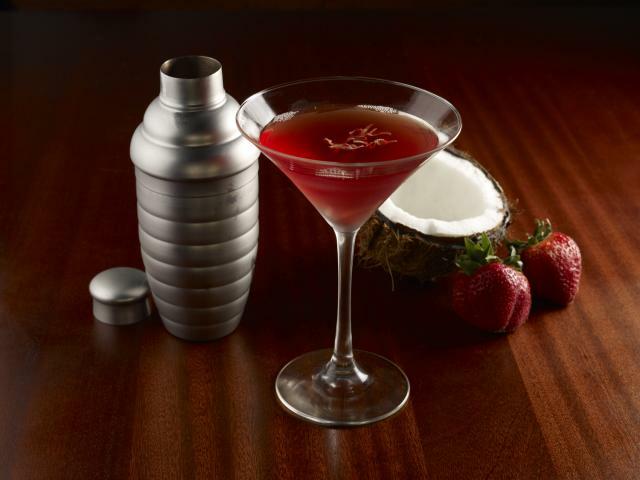 I’m sure it taste great at home, but head on over to Season’s 52 to compliment a fresh item from the summer menu with one of these strawberry coconut martini. Check back with us often for information on Tampa Bay Restaurants and Tampa Bay Dining.